HitchBOT, the internationally popular hitchhiking robot, is going to be a permanent exhibit at the Canada Science and Technology Museum. HitchBOT is going to be a permanent exhibit at the Canada Science and Technology Museum. "This is the original Canadian hitchBOT," Tom Everrett, the museum's curator of communications technology, told Ottawa Morning Tuesday. "This is the hitchBOT that made its way from Halifax to Victoria in 2014." A second, newer hitchBOT travelled to Europe and the United States before it was destroyed in Philidelphia earlier this year, sparking outrage among its many fans. HitchBOT was created as a social experiment in 2014 to see how far an autonomous robot could make it across the country. The clearly Canadian robot is made of a bucket formerly used as a beer cooler, described Everrett, with pool-noodle limbs, and a head made of a cake-saver to "protect it from the elements." "It's covered with pins and stickers," said Everrett, adding that hitchBOT's creators chose to retire this model rather than disturb the mementos during an upgrade. Everrett says the robot, which has a female voice, is "gender neutral" and unpredictable. "It uses crowd-sourced language software, that's where it gets its artificial intelligence, so we're never quite sure what it's going to say." 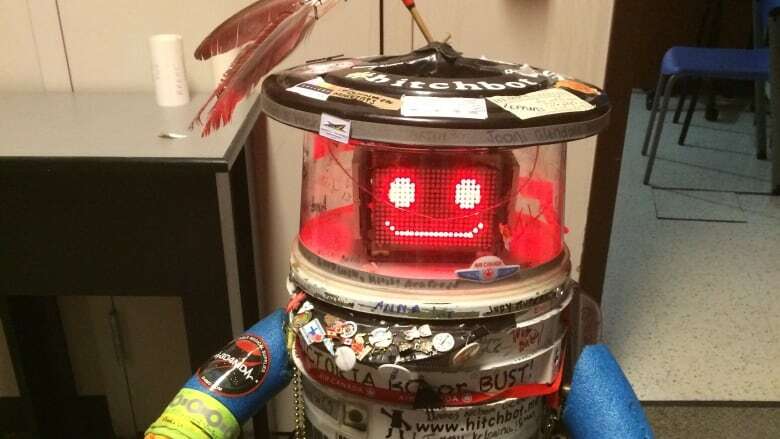 While its permanent home at the museum could be a signal that hitchBOT is ready to settle down, Everrett said the wandering robot still has some travelling to do. The Canada Science and Technology Museum was forced to close last year when a leaky roof created an airborne mould problem. It won't reopen until late 2017. "In the meantime, we're hoping to take it on the road." 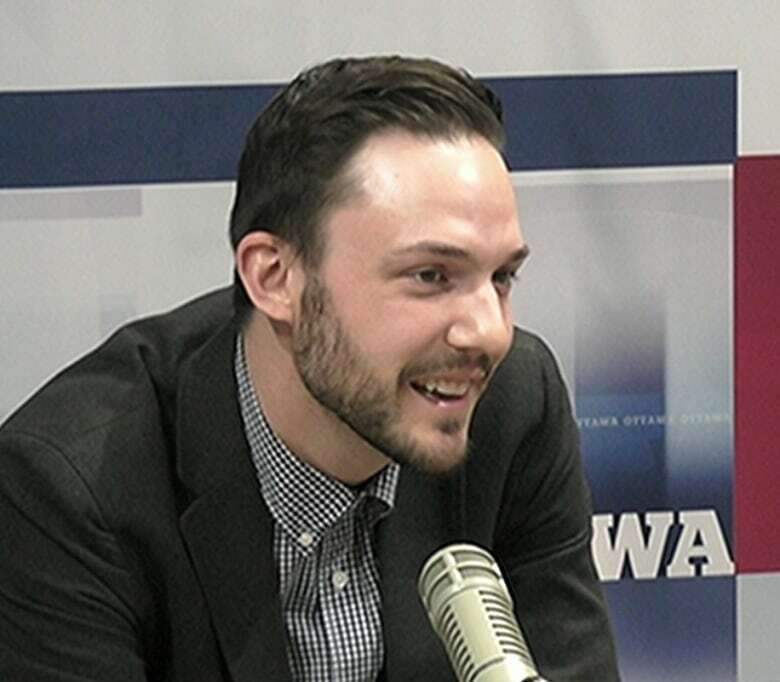 That way, said Everrett, hitchBOT can continue doing what he was built to do: "interacting with Canadians."